Even something as easy as picking apples was something which farmers took very seriously. 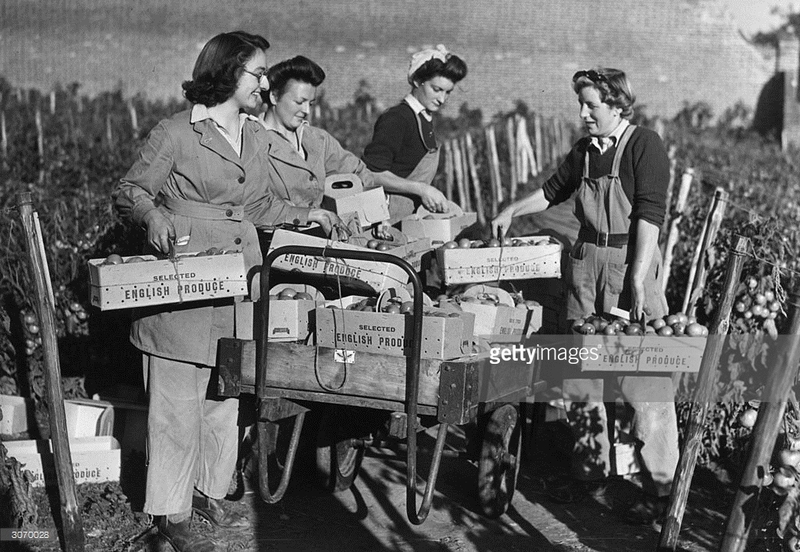 No apple could afford to be bruised (or in fact fall into one of the Land Girls’ pockets!) (Snelling, 2004, p. 27) As well as picking apples, they had to pick sprouts, strawberry plants, cabbages, tiny onions and plough potatoes. Members of the Women’s Land Army training at East Melling, near Maidstone, in Kent.